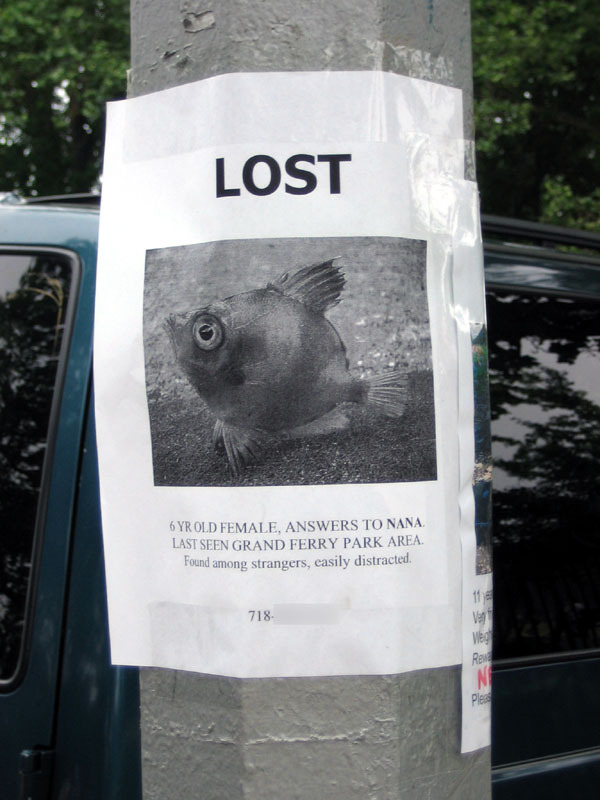 I saw this flyer on Greenpoint Avenue last weekend. Given that I have seen chickens and a goat here, I had a hard time feeling 100% certain that this was a joke. 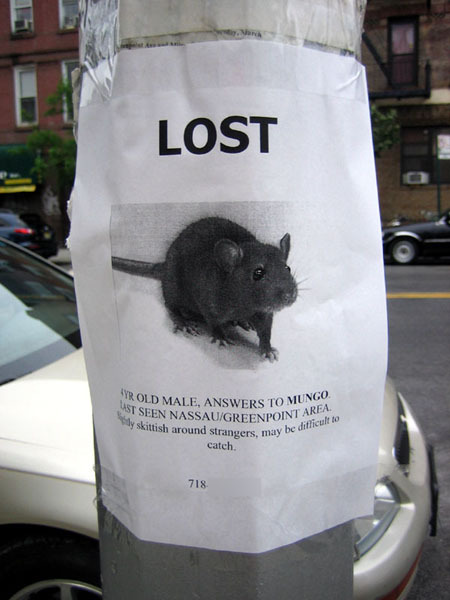 I later deduced that it was, but that still doesn’t change the fact that I found someone losing a pet rat and putting up flyers about it to be plausible. In Greenpoint it is, anyway. i’m pretty sure that little guy is living behind our stove and leaving us lil poops everywhere.